« Laptop D-Day: Goodbye, Circa-2003 Compaq — Hello, ??? So what good is an excellent credit score nowadays? It’s gotten harder and harder to get a mortgage, nevermind at a good rate, and those who minimally use their credit cards are having them canceled left and right. I should know — as I’ve mentioned in the past, I had Chase outright cancel my card due to inactivity, in addition to having Capital One warn me that my interest rate will rise in January 2010 (I’m waiting to see if this goes into effect with my next statement) and FIA cut my limit in half, from $30,000 to $15,000. By the way, my average credit score is 800. If they can do these things to people with high credit scores, what the heck are they doing to the folks with average and below-par credit histories? 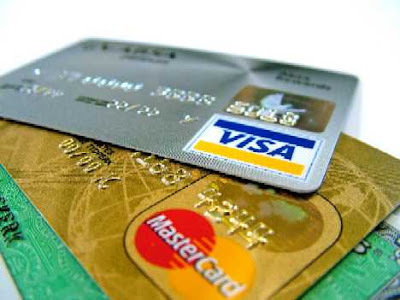 The newest credit card legislation says you must be notified of an interest rate hike at least 45 days in advance, and starting February 22, rates cannot be raised in the first year of a credit card’s use. But why isn’t there a cap on how much an interest rate can skyrocket? Also after February 22, interest rate increases can’t be applied to existing balances. So if I have a balance on my Capital One credit card, that balance will correspond to the current interest rate, while future purchases will fall under whatever higher interest rate I get stuck with. I know someone with impeccable credit whose interest rate on a Citibank credit card ballooned from under 10% to a mind-boggling 22%, in one fell swoop. This person’s credit score is way over 800, and there’s no balance on the card. But the action still caused anger and confusion — how could they arbitrarily increase the rate more than 12% in one shot? These are yet more reasons for ditching the plastic and only paying with cash, as advocated by many other personal finance bloggers and financial professionals. Don’t forget to keep a close eye on your credit card statements in the coming months to make sure you aren’t affected by sudden interest rate increases. I have to say that I can't stand Chase. I am boycotting them. They canceled my husband's card a few months ago and sent the letter after their action had already taken effect. As for no cap on interest rates being part of the new CC law, I don't get that either. I guess this is just another incentive to pay off credit cards in full right away! I don't want them making any more money off me! @444: I hear you. The idea of equalizing makes sense, but I wonder how it will affect those with the true "buying power" — or maybe they won't care? I don't use my credit cards for much, and once we pay off Mr. Saver's debt, I don't really plan to use them again unless it's something that can be paid off in full with the next statement. This won't be what you want to hear, but what they're doing to those of us with lower scores is not much different; in fact, they're sort of "equalizing" the market so that those with high scores are now getting the same horrible rates that those of us with bad scores have been battling all along. And in some cases, higher rates. I don't think I have a card with a rate higher than 19.99%, not one that I use, anyway – and it doesn't seem fair to people with good scores when I hear of them getting ratejacked up to scores just as high or higher. I'd be pretty mad if I were a high-credit-scorer and were suddenly thrown in the pile. It's like we're all the same these days. And that is why we are paying off all our credit cards and canceling them. We plan to never have a credit card again.